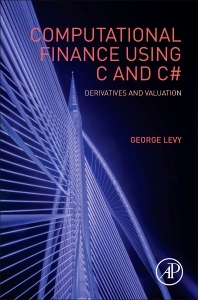 Computational Finance Using C and C#: Derivatives and Valuation, Second Edition provides derivatives pricing information for equity derivatives, interest rate derivatives, foreign exchange derivatives, and credit derivatives. By providing free access to code from a variety of computer languages, such as Visual Basic/Excel, C++, C, and C#, it gives readers stand-alone examples that they can explore before delving into creating their own applications. It is written for readers with backgrounds in basic calculus, linear algebra, and probability. Strong on mathematical theory, this second edition helps empower readers to solve their own problems. Features new programming problems, examples, and exercises for each chapter. Includes freely-accessible source code in languages such as C, C++, VBA, C#, and Excel.. Includes a new chapter on the history of finance which also covers the 2008 credit crisis and the use of mortgage backed securities, CDSs and CDOs. Emphasizes mathematical theory.